I use my NLP training to help motivate my clients to achieve optimum health and also work with specific problems such as anxiety, phobias and lack of self esteem, to unlock the internal skills every one of us has inside. The outcome is to achieve the best possible you, so the process is directed by what you want to create in your life. 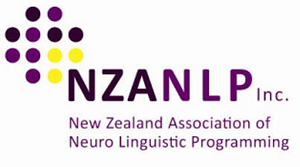 NLP relates to the brain (neuro), language/communication patterns both verbal and non-verbal (linguistic) and how and why we do what we do, our life strategies (programming). Like the related field of psychology, NLP has applications in so many areas that you have almost certainly heard of it under other names already. For example, in personal development, NLP is the science behind what most of world-class motivator Tony Robbins uses. In a therapeutic setting, NLP uses language to help people gain more awareness of how their thinking is affecting their behaviour and the healing of their bodies. For example, when someone has a belief that they are going to stay in pain for a long time, their unconscious mind helps make that belief a reality, despite the person consciously wanting to be pain-free. By reprogramming these un-useful patterns of thinking, new behaviour is created to achieve the goals we desire.